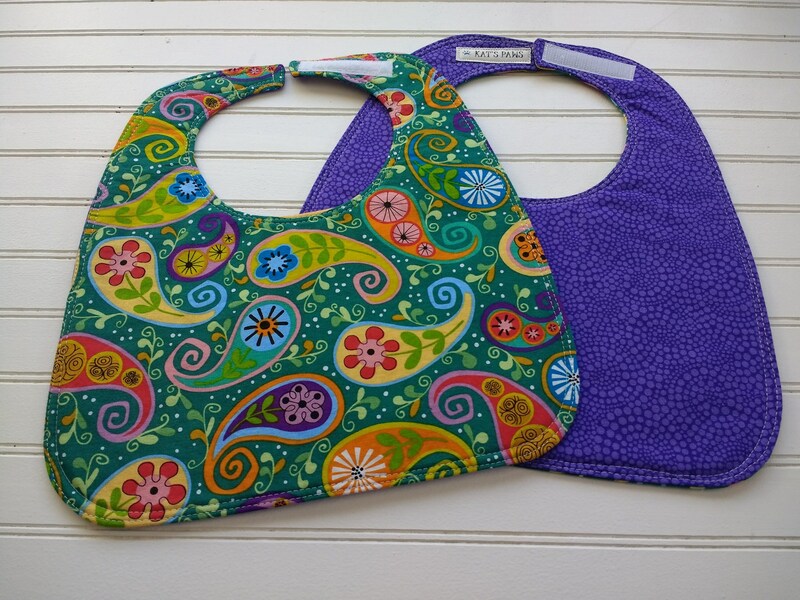 Reversible baby bib measures approx. 11.5" by 11" with soft Velcro closure. Machine-washable and dryer-friendly. Made with pre-washed cotton fabrics and cotton batting. The product will be wrapped in tissue paper, then in a kraft brown box tied with hand-twisted fabric twine. Reversible Sewn Toddler Bib - Gone Fishing! Given as a gift and appreciated immediately. Thank you! Beautifully sewn, great color, excellent choice of fabric. PayPal and Direct Checkout accepted (including Etsy gift cards). All Vermont buyers are subject to a 6% sales tax. If you are an Etsy seller looking to trade/barter, please contact me before making a purchase. If you are unhappy with your item purchase for any reason, please contact me within fourteen (14) days of your purchase and we will work together to resolve the situation. Please email me through Etsy. When multiple items are purchased, shipping will be combined and any overage of $1 or more will be refunded. All orders are shipped within 2 days of order placement, with the exception of some custom made-to-order items. If you are an international customer (outside of the US), please be aware that I cannot guarantee shipping time nor processing time at customs. The buyer is responsible for any fees incurred at international customs.